Please join us for our annual fundraiser! Your support of this event helps Wings serve vulnerable women in southern Chester County and our location in Kennett Square. NEW THIS YEAR - Complimentary valet parking and live music! $50 per person - includes wine, food, entertainment & valet. 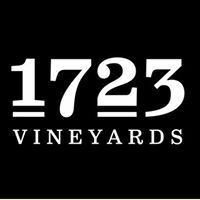 Featuring wines from 1723 Vineyards, Landenberg, PA. Please note, tickets for Wine with Wings are non-refundable. If you have registered and are unable to attend, you may transfer your ticket(s) to another individual, please send this change to laura@wingsforsuccess.org. Wine with Wings will feature an online electronic bidding website for our silent auction. Bidding for any of our auction items is made by using your mobile device. When purchasing your event tickets online, you will have the option of saving your credit card information in your profile to be used for our online silent auction. Closer to the event date, you will receive a text message and an email with your personal bidding link to access the auction bidding site once it opens. For more information, read through the details on our "How Online Bidding Works" page. Wings for Success is a non-profit organization providing apparel, advice and advocacy to deserving women in our community since 1997. We have served over 11,000 women of all ages and circumstances from Chester County and the surrounding areas.